Digitally mature GICs vastly outperform others in delivering strategic impact, operational improvements and cost savings. 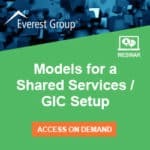 Everest Group has deemed 11 enterprise Global In-house Centers (GICs) as Pinnacle GICs™—GICs that are achieving superior business outcomes because of their advanced digital capabilities. More importantly, Everest Group has analyzed what these Pinnacle GICs are doing well and is sharing the secrets of their success. Many GICs are playing a key role in driving their enterprises’ digital agendas, thanks to the rise of next-generation technologies such as mobility, analytics, cloud, automation, and other enabling technologies. While most GICs are in the early- to mid-stages of digital adoption, some GICs have performed better than others by building and orchestrating differentiated capabilities and deriving superior outcomes. Everest Group’s Pinnacle Model™ approach explores what the very best GICs are doing in terms of real impact and then correlates the capabilities required to achieve those results. By examining what these Pinnacle GICs have in common, others can learn how to succeed, whether they desire to make incremental changes or achieve major transformations. Everest Group studied the digital adoption journey of 54 GICs, examining five key capability areas—scale of operations and penetration across digital segments, breadth and depth of services, digital talent, operating model and level of influence, and innovation. When those key capabilities were correlated with business outcomes, 11 Pinnacle GICs rose to the top. Cost impact: Pinnacle GICs generated 53 percent ROI from digital initiatives, while 44 percent of other GICs are yet to achieve ROI at all. Operational impact: Pinnacle GICs achieved 46 percent improvement in operational metrics, compared to 19 percent by other GICs. Business impact: 68 percent of Pinnacle GICs generated significant strategic impact, compared to 37 percent of other GICs. 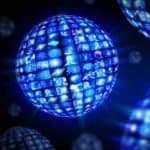 Everest Group’s recently released report, “Digital Maturity in GICs: Pinnacle Model™ Analysis 2018” describes the journeys of these best-of-the-best companies, provides insights into the key enablers needed to achieve desired outcomes, and points to the investments required for the greatest speed to impact.